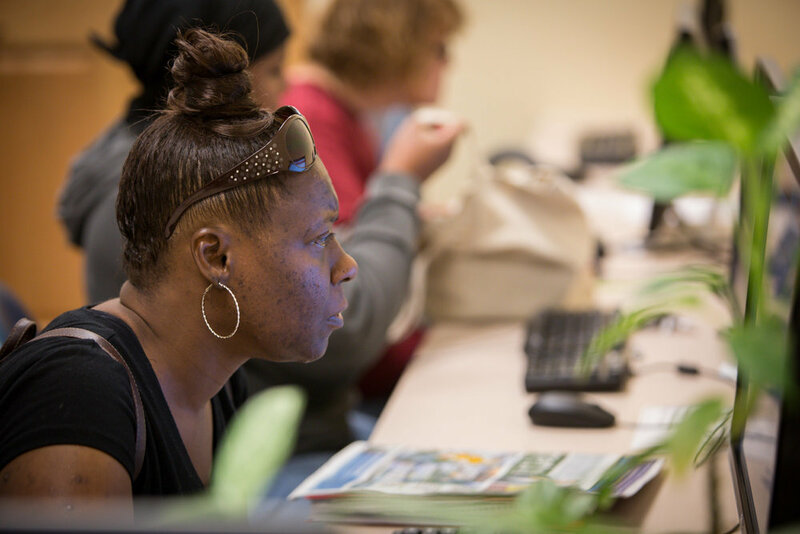 Poverty and homelessness take a heavy toll on a woman’s spirit. 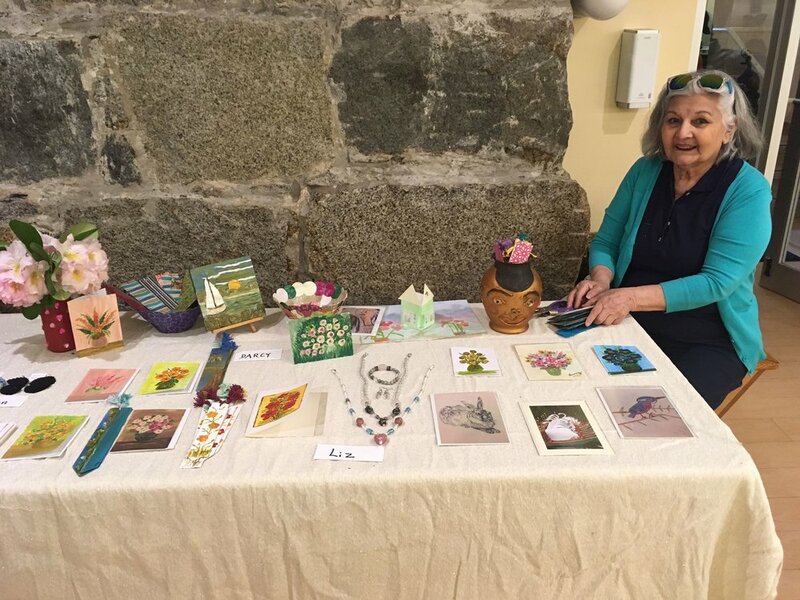 Beyond food, clothing and shelter, people need connection to others, and to express themselves within the safety of a welcoming peer community. Our popular Creative Expressions program fosters these vital connections and improves a woman’s self-image and self-esteem by allowing her to express her unique voice and experiences through art and other forms of artistic expression, such as music, drama and dance. Movie Review of "Shape of Water"
WLP hires an intern who volunteers for 9 months during the school year as a requirement toward their masters in art therapy. 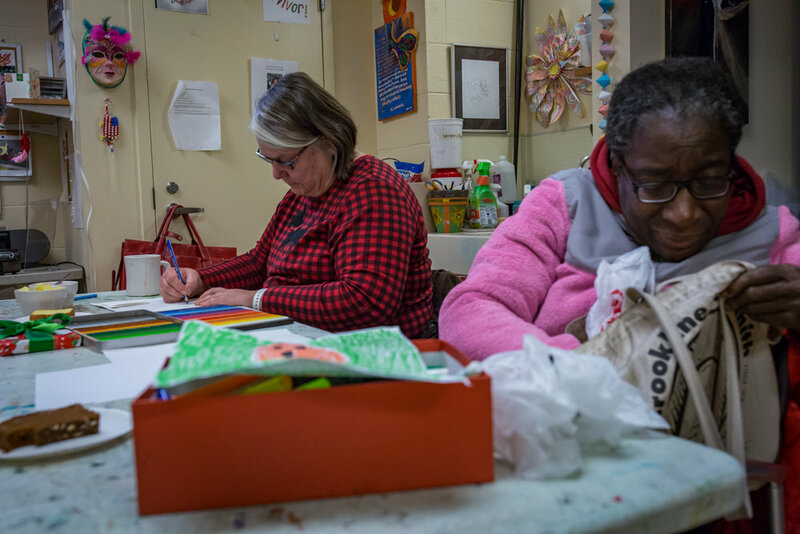 Our interns work with our guests doing various art projects such as paper sculpture, creating masks, holiday related crafts, drawings, painting and other activities. This class is held on Tuesdays 10am-2pm. The drawing class is a two hour class on Wednesday mornings. The class offers our guests a chance to enjoy the fundamentals of simple drawing. The class is for all abilities. 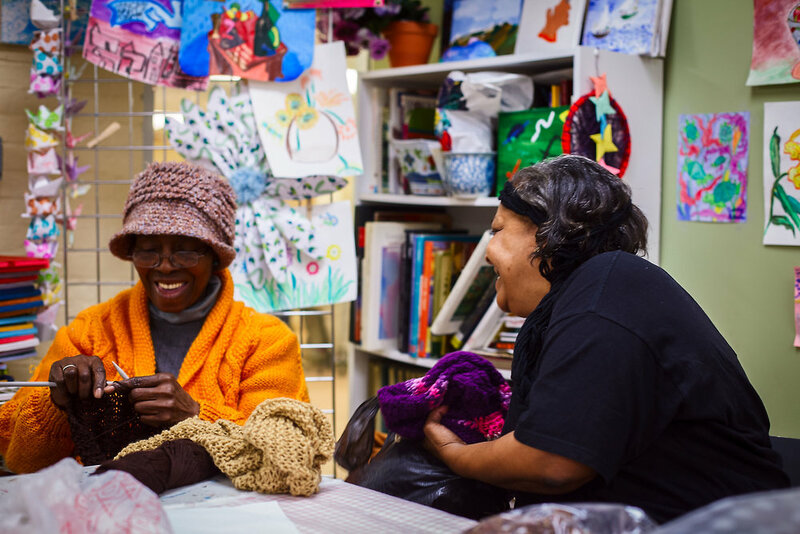 Thursday mornings from 10am- 12pm we provide knitting and crochet instruction along with yarn, needles and camaraderie. Longtime volunteers help facilitate this program. One of our most popular classes, held every other Wednesday afternoon 12:30-2pm. Our volunteers provide beautiful beads for our guests to make necklaces, bracelets and earrings. Watercolor or acrylic instruction is on Friday mornings from 10am to 12pm. 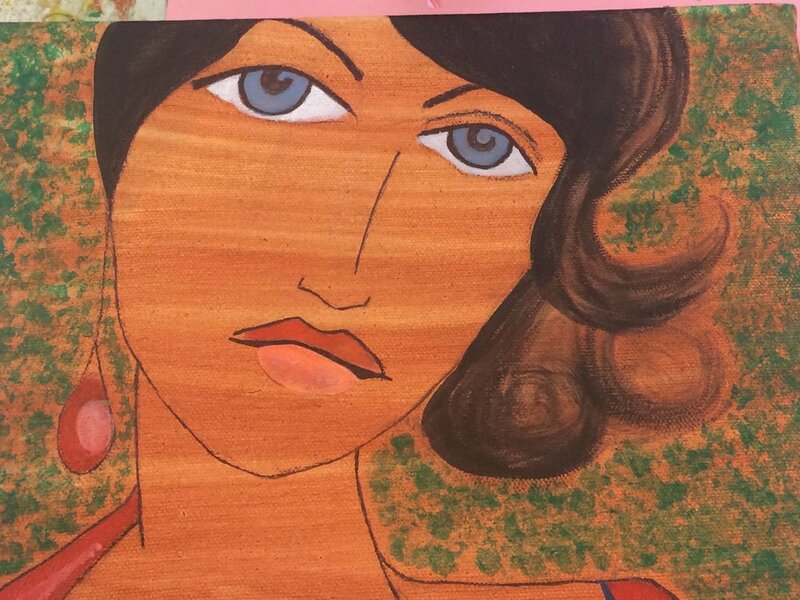 This gives the women a chance to pursue a greater level of skill in art techniques. Open to all skill levels. Six to Eight sessions weekly in the Spring exploring Boston. It culminates with a photo exhibit for all the shelter and staff. Open studios is open to all our guests to work on any art projects they wish to complete or create anew. Hours are 12:30 to 2pm on Friday. Saturday Open Studio with Art Therapists: On most Saturdays the art room is open to all to join in on various art collaborations. Mending is offered on the first and third Tuesday of the month. Longtime volunteers are on call to help with repairs from 10am-12pm. Small sewing classes are held occasionally when time and space allows. In the past, some guests have learned elementary sewing and others have created beautiful tote bags and clothing. 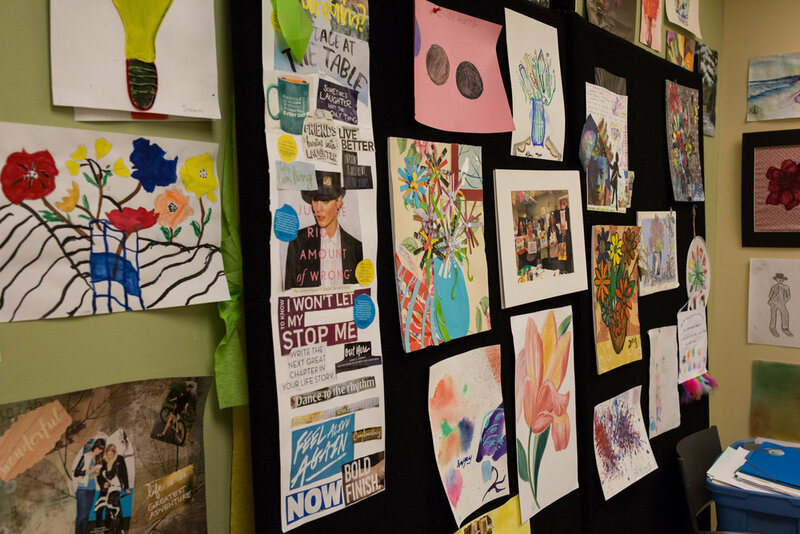 Many of our guests who have experienced trauma discover Creative Expression gives them the confidence to move toward greater self-determination and empowerment.